Those in search of crystal waters and palm-fringed beaches could do worse than a yacht charter in the Bahamas. In fact, that’s a huge understatement since there are few pleasures more irresistible than relaxing on the sun deck of your charter yacht in this inimitable corner of the Caribbean. The 700 islands, countless cays of the Bahamas and enviable tropical climate offer an unforgettable yachting experience for even the most seasoned of travelers. The relatively shallow safety of the Sea of Abaco and ease of access from Florida means that it is a playground for luxury yachts. 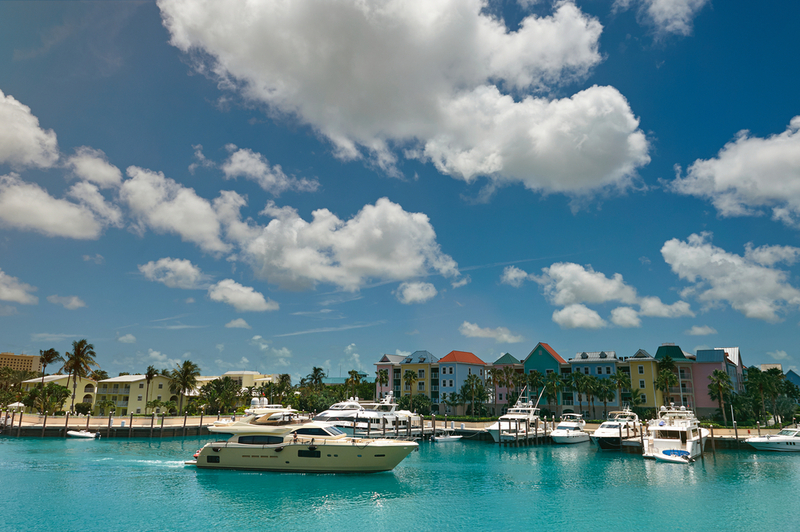 Here is a guide to what you can expect on your Bahamas yacht charter. Bimini is an ideal first destination on any yacht charter in the Bahamas as it is only 45 miles from Miami. Follow in Ernest Hemingway’s footsteps and enjoy the fantastic fishing (including tuna and marlin) that comes from being on a major fish migration route. Even if you have no interest in fishing, the beaches are sublime and noticeably lacking in crowds. Most of the beaches have fine white sand and some of the best include Bimini Bay and Tiki Hut Beach, where beachcombers will be rewarded with a diverse array of seashells and colorful sea glass. Nassau is the cosmopolitan capital of the Bahamas situated on New Providence Island and it is an ideal stop-off for shopping on Bay Street. Its offshore coral reefs make it popular for diving, snorkeling and deep sea fishing. With a casino and lively nightlife, Nassau offers a nice contrast to the more remote and slow-paced islands and cays in the Bahamas. The Exumas are a chain of over 300 mostly uninhabited islands that are dotted with natural harbours and some of the best reefs in the Caribbean. The Exumas are the highlight of any Caribbean yacht charter with a horizon of blue as far as the eye can see and nothing but the sound of water as it laps against the yacht and perhaps some wild call from an exotic animal. 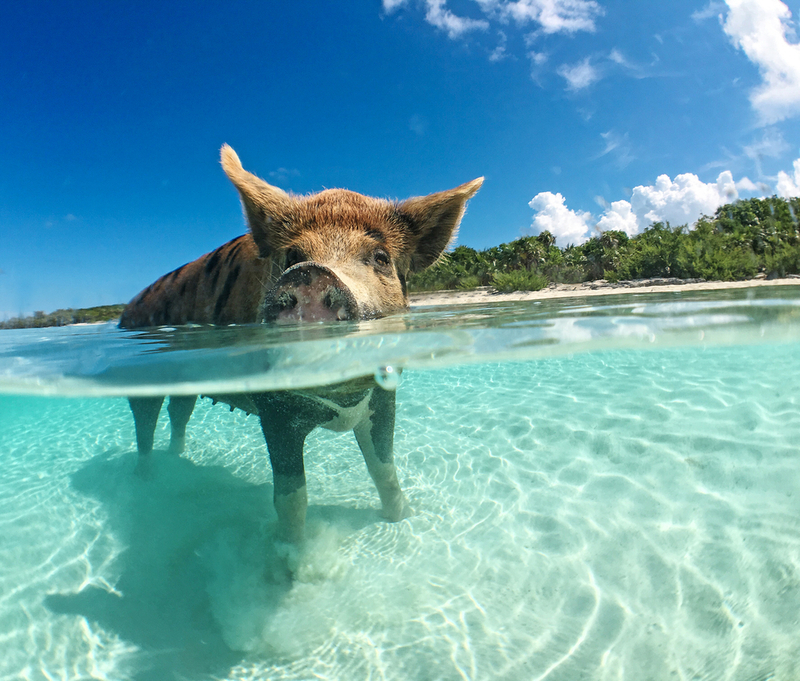 Speaking of animals, up to 20 feral pigs and piglets share the warm shallow waters with yachters at the aptly named Pig Beach on Exuma Island. Warderick Wells Cay is the center of activity in the Exuma Cays Land & Sea Park. It was chosen because of its centrally located geographical position within the park and wide variety of naturally occurring ecosystems. This island is a great place to spend an afternoon since it is full of walking trails and every kind of landscape, including rocky bluffs, sand dunes and mangroves. The underwater views are unrivalled because all fishing is prohibited around the cay. Explore Sandals Emerald Bay, another Exumas-based treasure trove of unparalleled beauty and luxury. The marina consists of extensive networks of floating docks which accommodate even the grandest of yachts and the hospitality is warm and welcoming. 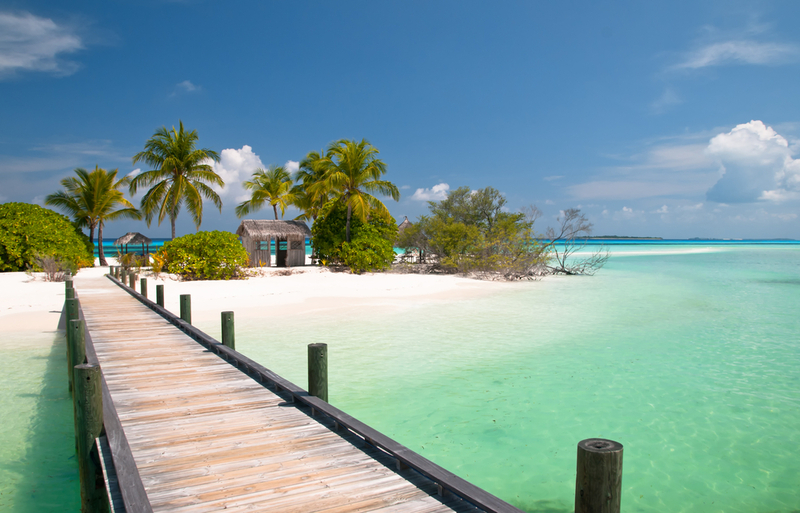 The area’s white sands and turquoise waters will ensure your Bahamas yacht charter is magical. The unpopulated Shroud Cay is the perfect getaway from those who wish to escape from civilization without being uncivilized. Its craggy nooks and limestone rocks give it a beautiful coastline which offsets the electric blue sea. Enjoy the abundant wildlife which includes turtles, nurse sharks and rays among its coral reefs. The Andros Barrier Reef is the third largest reef in the world at 190 miles long, and it follows the mangrove-ribboned coast of Andros. This is the place to spot rare and exotic fish on some of the best diving expeditions in the world. Not only can you see some of the 160 different species of fish and coral but you can dive wrecks, blue-hole dives and dramatic wall dives off the 3,000-metres-deep Tongue of the Ocean. The two Inagua islands comprise the southernmost district of the Bahamas, covering 645 square miles. Less than 60 miles from the Cuban and Haitian coasts, Inagua is most famous for being home to more than 80,000 flamingos, which were once almost extinct. 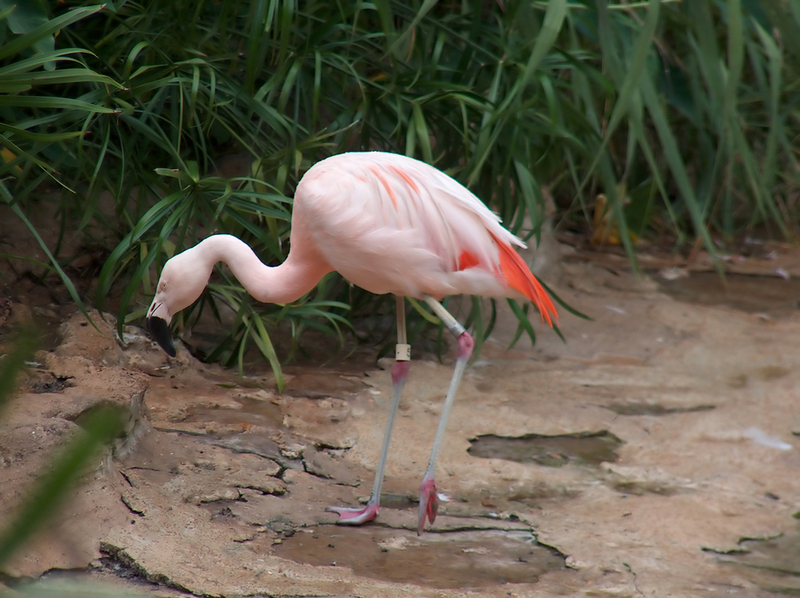 Visitors can see the nesting flamingos and their fluffy white chicks at Inagua National Park where they rest, frolic and dive for shrimps in the ocean. It is the perfect Bahamas yacht charter destination for ecotourism with 140 species of native and migratory birds, as well as feral donkeys and endangered freshwater turtles. Besides the abundance of fauna, Inagua’s limestone caves and unspoiled beaches await exploration. 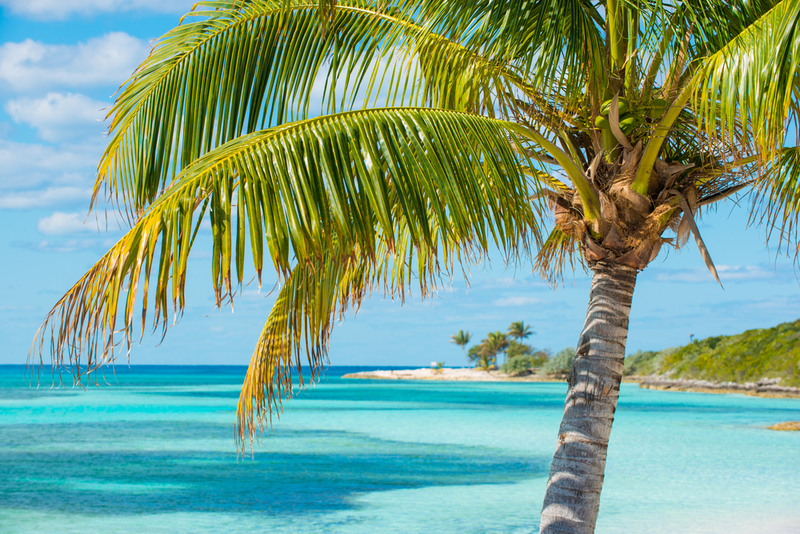 Whatever your interests, you’re sure to find your ideal island on your yacht charter in the Bahamas – the only difficulty might be picking a favorite. Why Charter with Chamberlain Yachts?